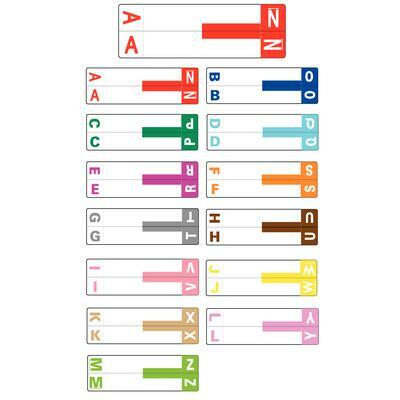 3-5/8" W x 1-5/32" H, Matte Find files fast with eye-catching 2-in-1 alpha/name labels. 2 different letters on 1 label means there are only 13 colors to manage instead of 26 (just remove the letter not being used). File Box System Includes 1,500 assorted labels and a file box container.